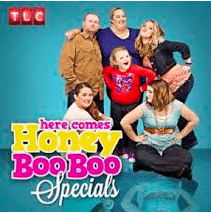 1 worst reality shows | This Blog Rules | Why go elsewhere? If there is one thing guaranteed to make me lose my faith in mankind it is switching on the TV and stumbling across one of the worst reality shows ever made. The bad news is that there are so many of these abominations around that avoiding them completely is almost impossible. When 22nd century historians look back on how it all went wrong for the human race the surname Kardashian will be high on their list of answers. Seriously, why are these ridiculously vacuous people even remotely near my TV screen? As far as I can tell, the only talent any of them possess is the uncanny ability to be completely self obsessed and never do anything even vaguely interesting. I expect the show to continue to be a success for a long time. Where I live now I don’t get to see many shows in English. Even the flaming Simpsons get dubbed into Spanish, making Homer sound like a Mexican version of, well, Homer Simpson. Then I turned on the TV and heard some warm Newcastle accents flooding out of the set. Ah, I thought, finally I can settle down to some classy British culture and remind myself why we once possessed the greatest empire in the world due to our inbuilt class, dignity and intelligence. Err, maybe not. Since we have dipped our trembling toes in the warming waters of dubbed television shows, I might as well mention this disaster. I have to admit that I have only ever seen this show in Spanish, so I have no idea what lovely voices the cast members have. However, I do know that the dubbed voices are the most ridiculously over the top Spanish hillbilly accents ever to exist. The show seems to consist entirely of 1) people eating stuff 2) people making rude noises 3) the end. So, there’s like this single guy that is, you know, completely drop dead gorgeous. Then there’s this bunch of women who aren’t at all desperate to find a man in any way possible, no matter how pathetic and inappropriate it may be. Thankfully, the contestants on this show know full well that they are all hopelessly shallow husks of human beings, so they don’t look for sparkling conversation or witty insights from their potential life partners. Which is just as well, really. If you are due to get married soon then I’m sure you have already compiled an exhaustive list of your partner’s horrendous defects that could only be sorted by numerous visits to a top plastic surgeon. Hey, why not get her onto this classy show? 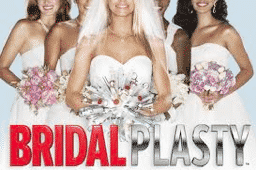 It is one of the worst reality shows because new brides undergo plastic surgery to make their wedding perfect. Because a wedding with a wonky nose just isn’t natural. Is it just my imagination or is the world becoming a vainer, shallower place with every passing day? I don’t know; maybe I will just sit down in front of the TV and watch some of this deep and meaningful show in order to restore my faith in the modern world. Glamorous and beautiful people go to a beach paradise looking for love only to find that their glamorous and beautiful exes turn up there as well. Brilliant.